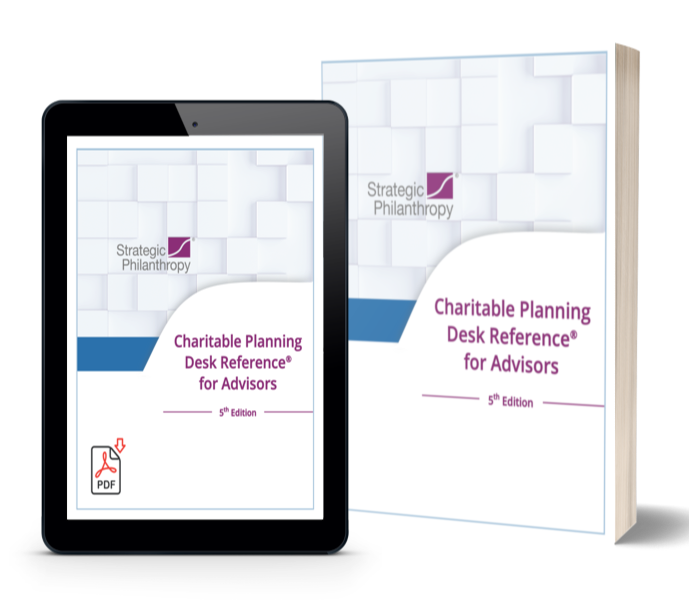 The new and expanded 5th edition of The Charitable Planning Desk Reference® for Advisors is now available in both print and digital formats. This unique resource was developed by Strategic Philanthropy, Ltd., for the legal and financial advisor community to advance their work with clients around their charitable intent and philanthropic priorities. For a sneak peak, click here.